Meet our staff, our essence. 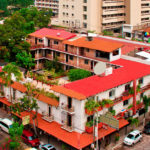 We are a small business and a typical hotel with a real Mexican atmosphere that is very well located in the center, just a few steps from all the activity. Each of our 47 rooms has a different structure, design and decoration. We have a swimming pool, a large terrace and a restaurant, among other services and amenities. Aspects such as the name “Posada”, the main wrought iron entrance, the fountain in the main courtyard, rooms around the courtyard, natural brick walls, corners with small gardens, large clay plants, flower pots, vines, among other things are some of our distinctive elements, with an old fashioned atmosphere and refreshing colonial family hacienda, while at the same time we want to distinguish ourselves as a very traditional Mexican corner in Puerto Vallarta. We like to think that the place itself attracts and arouses the curiosity of many of the passers-by in the area. 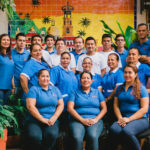 At Hotel Posada de Roger we are a small family business and our team is a family, we are aware of the difference that makes when it comes to providing excellent customer service. 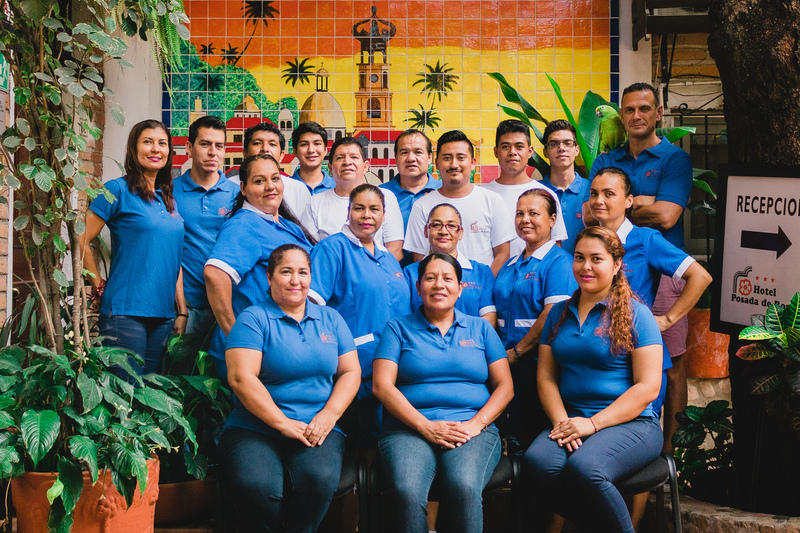 While the hotel itself is the reason why guests come to visit us, it is “the team” that ensures their return as we always work to make our guests feel at home. Our values reflect the importance of teamwork. 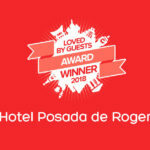 We work hard to maintain our goals, we strive to preserve what makes Hotel Posada de Roger so special: a sincere and deep commitment to each other, and especially to our guests we serve every day and to the communities in which we work and live. Our room was clean, comfortable, and cool with great air-con. It’s the place though, that makes Roger so special. From the beautiful flowers everywhere, the idyllic pool deck with views of unique PV, Roger makes me sigh and start planning the next time I can return. I’ve stayed in five star all-inclusives and VRBOs too, and I can’t imagine staying anywhere in PV but here. It is the very best value I can imagine, and the people who work here are special as well. I did my research prior to booking at this hotel and I remember reading about how loud it is and that it wasn’t comfortable. Even though there were some negative reviews, I still wanted to give this hotel a try. I loved it! The staff were nice and the rooftop swimming pool was amazing. I loved how the beach is walking distance from the hotel and I didn’t need a taxi to get around. Everything was walking distance. All the local shops, the pier, the best restaurants and the fun night clubs. The pool was clean. The housekeeper was working hard and nothing got taken away from my room. I was able to sleep comfortable even though the mattress is not comparable to my Sleep Number. I didn’t hear any crazy noise when I was in my room. The next best thing I liked was that the bank was walking distance and it was a good place to exchange money at. The last best thing I liked was the safety. There’s a huge steel door that locks. The only way to enter after hours is by the front desk. They have to buzz you in. Stayed in Posada de Roger for 4 nights. Hotel is small but cozy. Excellent staff. Rosy from reception is amazing!! Very friendly and approachable. We stayed in the Penthouse. Very spacious with kitchen, dining table, and sofa. Restroom is a little small but large shower area. Nice pool for the kids. It is not a resort with all the bells and whistles but the location (2 blocks from Playa de los Muertos), staff, price, and home feel are definitely worth it. The restaurant adjacent to hotel Fredys Toucan has great food and great service too!! Will come back!! Ask front desk for help with tours and excursions. They have better prices than online! !